Actor whose film and television credits include 2007's Fugitive Pieces and the 2008's Pinocchio. 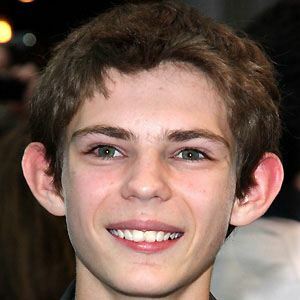 He played Peter Pan in 11 episodes of the series Once Upon a Time. 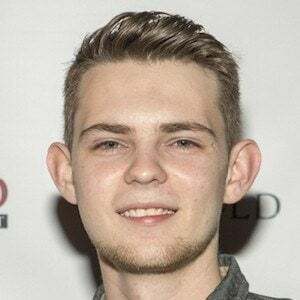 He played Tommy Clark in the NBC series Heroes Reborn. After seeing a recruitment flyer for child actors, he earned a speaking role in The Illusionist. Unfortunately, his scene was cut from the final version. He appeared early in his career in Hannibal Rising and My Boy Jack. He played a young boy dying of cancer in the 2010 film Ways To Live Forever, which stars Ben Chaplin and Emilia Fox. He spent his childhood in England, Belgium, and the Czech Republic. His father Ivan grew up in Peterborough and his mother Stephanie lived in Newcastle upon Tyne. He and actor Josh Dallas both appeared in the ABC series Once Upon a Time.